Help Keep the Legacy Alive! Thank you for your donation to the “Remembrance Fund” endowment to help preserve the integrity of this 9-11 Memorial in perpetuity so future generations will have a place to REMEMBER and HONOR those taken from us. We are a 501c3 organization and your donation is tax deductible and greatly appreciated! © 2005 – 2018, 9-11 Memorial Garden of Reflection. All Rights Reserved. Garden of Reflection 9/11 Memorial shared a post. Designate 9-11 Memorial Garden of Reflection Inc as your amazon charity and all of your purchases will remember and honor all 2,973 victims forever in our hearts. Support 9-11 Memorial Garden of Reflection Inc by shopping at AmazonSmile. When you shop at AmazonSmile, Amazon will donate to 9-11 Memorial Garden of Reflection Inc. Support us every time you shop. It is with great sadness that we share the passing of Grace Godshalk on December 15, 2018. Grace was the mother of William Godshalk who perished in the World Trade Center during the September 11th terrorist attacks. While serving on the Lower Makefield Township Board of Supervisors for many years, Grace was a strong advocate behind many local programs that continue to serve the township and its residents. 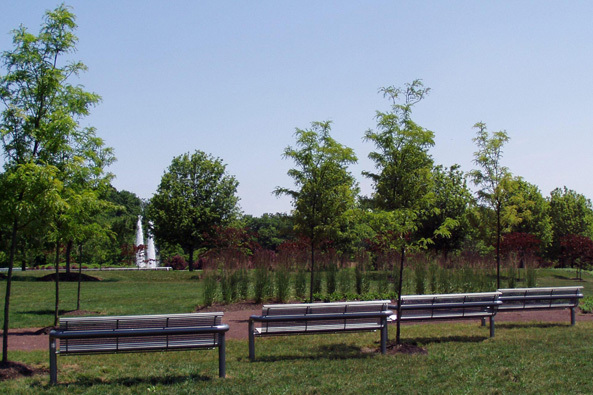 Grace worked with other 9-11 family members, the architect of the memorial, and community volunteers to help create The Garden of Reflection, serving in many leadership roles and being a sound liaison to the Township. We offer our deepest condolences to Grace’s family and wish to express our sincere appreciation for her many contributions to The Garden and many other community initiatives. Grace, you will be greatly missed. Mrs. Godshalk, a former New Yorker, was keenly aware of what over-development could do to Lower Makefield. She got elected township supervisor and battled against it for 30 years. We would like to thank everyone who has donated to the Remembrance Fund endowment to preserve the memorial in perpetuity. You have spoken, our goal is an honorable one. We are very excited to report that we are going to hit the half way mark to our $2 million goal to sustain the memorial for future generations very shortly. You can help us get there by year’s end! 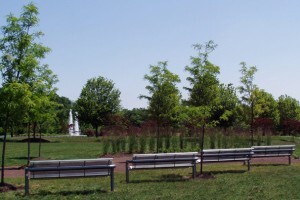 Please consider a tax deductible donation to the 9-11 Memorial Garden of Reflection endowment. Send this information to your place of employment for a year ending with a great purpose and a charitable match. Help us by sharing our post! You will remember and honor those we lost on September 11th by Keeping the Legacy Alive. Garden of Reflection 9/11 Memorial added 24 new photos — at Garden of Reflection 9/11 Memorial. Garden of Reflection 9/11 Memorial added 149 new photos — at Garden of Reflection 9/11 Memorial. Garden of Reflection 9/11 Memorial added 16 new photos — at Garden of Reflection 9/11 Memorial.